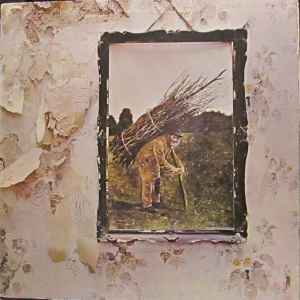 Track 4 side two, When The Levee Breaks is mis-printed on the side two label as When The Leevee Breaks. On the label, this release has LED ZEPPELIN - LED ZEPPELIN underneath the ZoSo symbols. My copy weighs in at 125grams...most 70s come in around 100grams give or take so pretty decent in terms of weight. As far as the sound goes i don't have a copy to compare but I notice a lack of punch in the lower end. Quite clear seperation in the instruments...as i said tho, really need to A/B test against something else. Happy with this piece of rock history! I have this copy, with the mis-print, and it sounds just reasonably good. Good 3D sound stage but does lack a little in dynamics. I cant see myself selling it, ever even though it has a bit of a dynamic short coming. I too have this pressing (1st Aus) and remarkably the side two label is missing the symbols but side one has them printed. Maybe a misprint or have others come across this too? My copy is a horribly thin slice of wax and has a horrible sound to match... Maybe I'm just unlucky and own a badly pressed copy or maybe this is just a pressing one should avoid? Any thoughts?